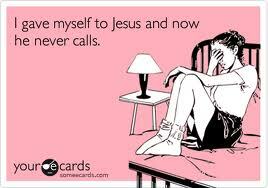 Ah after three years of keeping my anger under wraps it’s time for me to let it out again! It’s great to be back. OK so people ignoring… sounds like a hobby… I suppose you could make it one. Anyway, I’ve been thinking that people ignoring is quite an annoying thing to do to someone. I mean, fair enough someone could be a totally crazy stalker, but I’m not even talking about that level. I’m talking about just not replying to people that you’d see on a regular basis. Maybe you’re sick, maybe something happened but generally as technology has meant less and less actual in person contact, we’ve allowed ourselves to become more and more selfish. I’m really talking about texting here, but even communication on the internet can allow people too much time to reply. Let alone how annoying it is now when you see on Facebook that someone has read your message but they haven’t replied. The fact that this is now a feature only heightens paranoia between people who potentially know each other very well. Now I’m not saying that I sit and wait for a response once I’ve seen that a message has been read. It’s more that if the message was important and I saw that it had been read I’d sit around like a fool wondering about its implications. Luckily, it hasn’t but that doesn’t mean it won’t. Wouldn’t it just be better if that feature was removed? I wouldn’t care otherwise. It mightn’t seem polite but reply. Be blunt. Tell the person you’re replying to that this is the way things are but never ever ignore them. There may be a legitimate reason for not replying but do not try and instigate conversation with them again and ignore the ignoring either. At least apologise or make up some crappy excuse for not replying. I know that people sometimes don’t reply to things for real reasons. That’s not what I’m saying. By ignoring someone you are telling them that they are not worth your thoughts. Particularly in stupid mind game relationshippy type things too this is the crap that I hate. The whole idea of pretending that you’re not interested by not texting someone first or replying too quickly, sometimes even ignoring them. It is pretty stupid when you think about it. Because these games exist people sit around waiting for a text that may never come when instead they could be doing something productive. Sometimes people (and I don’t mean me here to be clear) fixate on it so much that all they need is a text saying that said person is not interested and they can move on. It’s called manners people!!!!! The ignoring, as it seems to be in every case, is all about a power play… even with close friends. STOP IT. IT IS MEAN. 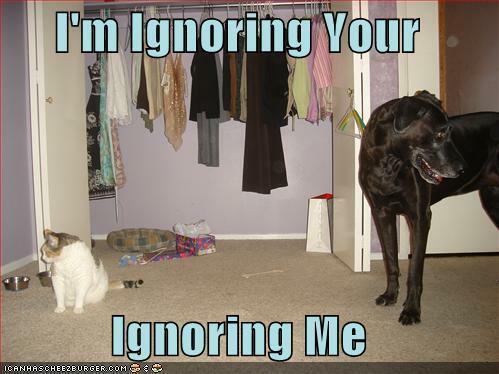 You’re probably thinking now…’Oh she must get ignored all the time.’… Sure, sometimes I do and it pisses me off. But I can tell you know hand on my heart that I do not ignore people on purpose. I can also tell you that on the flipside I’m not the mental person who will text you five times in a row until you answer…because that my friends is undignified. Anyway hope I can keep this momentum up! I’ll be angry again really soon! This entry was posted on March 20, 2013 at 12:21 am and filed under opinion,Uncategorized. You can follow any responses to this entry through the RSS feed. « Did I ask you?